> The growth of franchises has helped facilitate long-distance relationships, be it family or friends. It’s easy to give a gift from your local mall, knowing the recipient can easily return it to their branch of the same store at their local mall. > Spanning geography also comes in handy for service, like buying a car in one city and repairing it at a dealer in another state. > There is a sense of comfort due to the familiarity. You can go to a new town and know what restaurant has food that you will like, you know how it is prepared, and you have a good idea of the price range before you enter. The adventure may be gone, but chances are higher that the place will meet your expectations because you know what you are getting before you go there. > On the down side, places now look so much more homogeneous, even in Europe, because the same stores are everywhere. There are many fewer “local” establishments that give character to the place. It used to be I knew I was in Chicago because of Marshall Fields and New York with Macy’s, but now Macy’s has no allure because it is everywhere. Franchises and the growth of chains are one more way that we are all interconnected, but don’t get complacent about the chains being “your” stores. Keep in mind they are part of a larger enterprise and a portion of the profits go elsewhere. This weekend as you’re out spending money, be intentional where you do so. Buying local doesn’t mean the local chain. 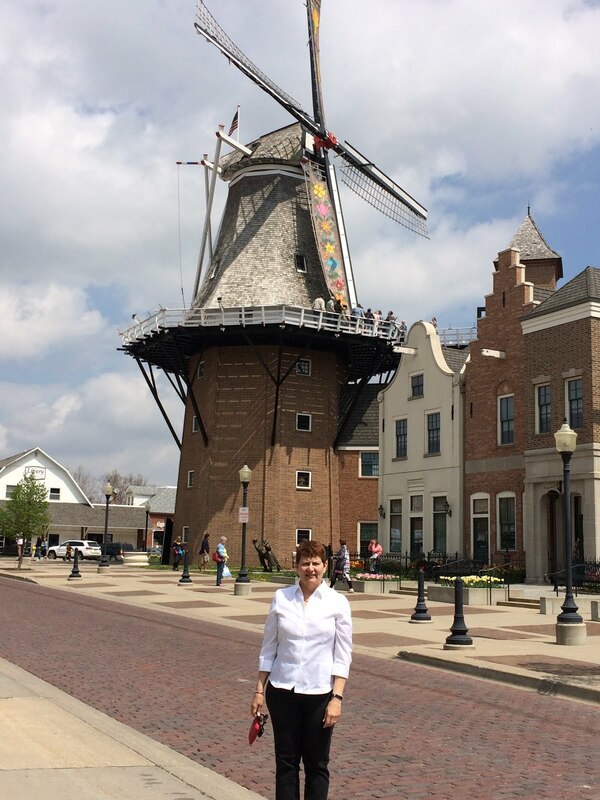 I was in Pella, Iowa last week, a town that has enthusiastically embraced its Dutch heritage. In addition to the thousands (literally) of tulips in bloom, one of the main attractions was the windmill. This is a giant structure, 134 feet tall, and a functional one. The Vermeer Mill turns wheat into flour powered only by the wind. The windmill in Pella is a replica of an 1850’s structure, but reminded me of the modern wind turbines that populate the countryside today. Wind energy is so prevalent in Iowa that a turbine is the predominant graphic on our driver’s licenses. Is this another case of everything old being new again? Vinyl albums and turntables are making their way back as a method of choice for playing music. Brewing beer and growing gardens are now popular pastimes instead of done only by necessity. Fluorescent is showing a comeback in clothing, featuring styles and colors in neon shades just like in the 70s. We are quick to look ahead and often forge forward without looking at the past. Let using wind as power be a lesson to propel you forward with a nod to the inventions that came before you. Not everything new has to be totally new. 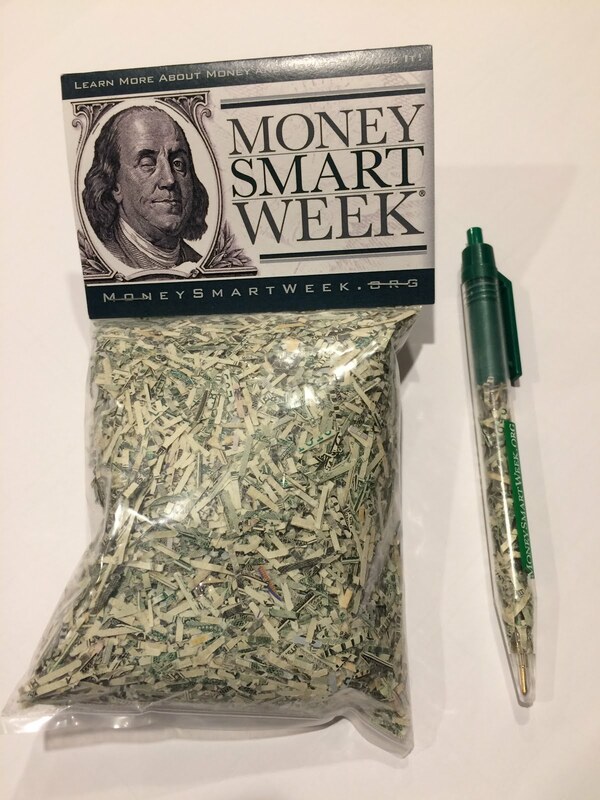 Yesterday I wrote about Money Smart Week and shared a picture of the bag of shredded currency I received. It got me thinking about shredding, and how elimination is part of the organizational life cycle. The Federal Reserve Bank shreds about $23 million every business day, and that is just in Chicago. Dollar bills wear out in about 21 months, and the $5 bill wears out in about 16 months, so the Fed is continually shredding currency in addition to issuing new bills. In organizations, there is often a focus on what needs to be added, but Money Smart Week gives us an occasion to pause and consider what needs to be removed. What habits do you have that you should “shred?” What policies are in your organization that need to be reissued with a new look? Have you evaluated what you offer and thought of updating it, just as the Fed does with counterfeit-prevention measures? Shredding isn’t just to get rid of confidential materials. It’s a declaration of permanence that we are done with this item and are moving on: no storing it only to revisit it at a later date; no ambivalence about whether it will be useful again “someday.” Take the bold step to be like the Feds and create a process that routinely evaluates and shreds what is worn out in your organization. Source: Money Smart Week materials: Why Does the Fed Shred? and Did You Know? I was at the library the other day and walked out not only with a book, but with a bag of money! They were giving away sacks with approximately $364 of genuine U.S. currency, so of course I had to get one. The bag of shredded currency is a metaphor for the money people waste on unnecessary or frivolous spending. Like the money in the bag, it is real money that gets frittered away, little by little, with nothing to show for it. In fact, the bag of shredded bills is more exciting than some of the purchases I have made. I think of the children’s book Alexander, Who Used to be Rich Last Sunday*. He didn’t shred his money, but he made small, inconsequential purchases until his money was gone. “Good-bye fifteen cents,” he says, over and over. I am sure many can relate to his habits. Think about your budgeting at home and at your organization and see if you can’t make some changes that improve your fiscal health. Money Smart Week (April 23-30), highlights ways people can be more aware of and better manage their personal finances. At the website, there are dozens of resources on financial literacy, credit, budgeting and more. It’s fun to get a bag of shredded cash at the library, but money without values looses its allure when applied to your real hard earned greenbacks. Use Money Smart Week to take steps so your budget isn’t unintentionally shredded going forward. I recently participated in a webinar about Generation Z, those born between 1995-2010. It’s hard to believe that those students are in college when it seems like just yesterday they were born. The presenters (Dr. Corey Seemlier and Meghan Grace) shared information about many trends impacting this generation. One that was of particular note to me was their interest in “creative entrepreneurship.” The speakers pointed out that for all their lives, side businesses have been a part of the landscape. From Uber, Alibaba, Etsy to Airbnb, people they know have been making money on the side or on their own. Turning a hobby or passion into a business no longer has high entry barriers or involves significant start-up funds. If you are offering a service, you can just start offering it. Another influencer of this generation is budget cuts. They have know a tight economy for much of their lives, and seen the impact of budget reductions in schools, colleges and even in families. As a result, they are more financially conservative and more likely to save than previous cohorts. Combine this concern about money with the ability to make a little extra on the side, and you can only imagine where the generation is going. The study of generations may not change the path people are on, but it helps to understand the motivating factors behind group behavior. If you haven’t read about this latest wave of young people, I encourage you to brush up on your ZZZs. As graduation approaches, more and more of them will be entering the workforce and it behooves us all to know how to create environments that will capitalize on their Zeal and Zest for social change. In a stroke of brilliance and I am sure in a flurry of activity, Corvette ran full page ads in several major newspapers on Friday, April 22. As you recall, the legendary singer Prince died on April 21. 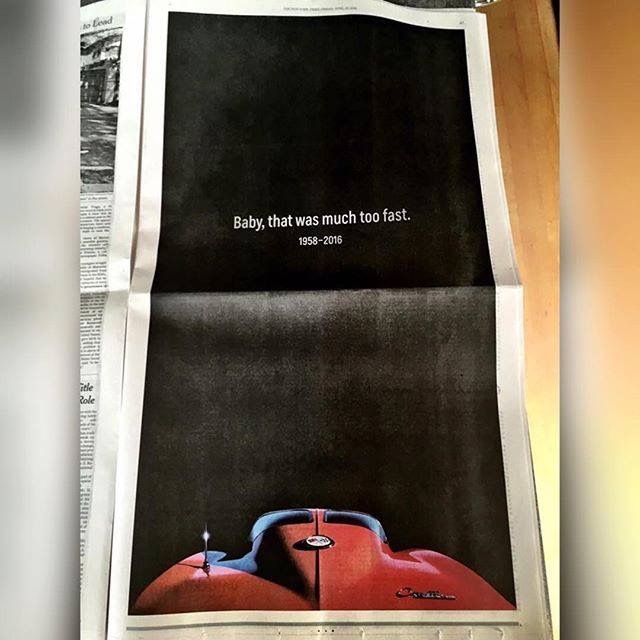 So, in less than 24 hours, after an unexpected death, the car maker whose “little red Corvette” was immortalized in Prince’s song by that name, played homage to him in print. They conceptualized, designed and did media buys overnight. It was a stroke of genius. If something tragic happened to someone important to your organization, are you prepared to take steps to acknowledge it? Does someone have the initiative and authority to take action? Have you thought ahead as to what action you might take? 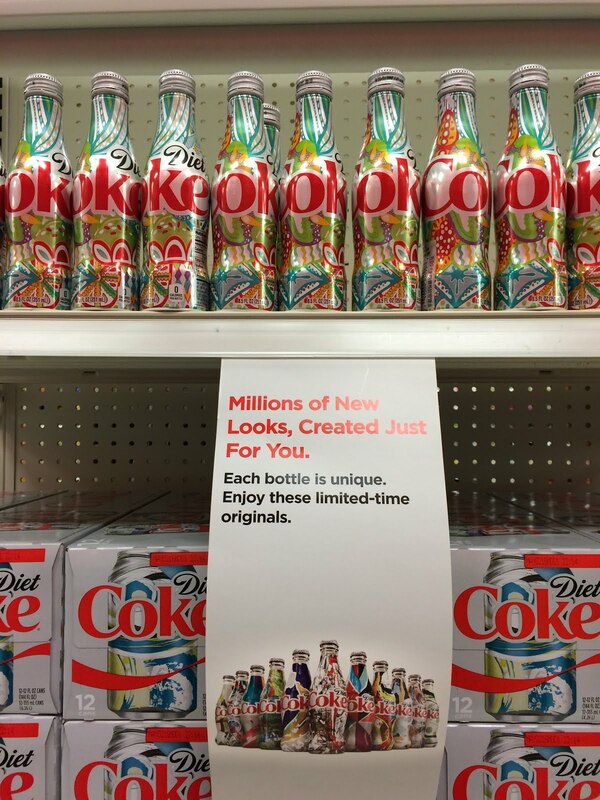 Normally I am a big fan of Coca-Cola’s advertising, but I don’t understand their new “Diet Coke, It’s Mine” campaign. Their advertising claims: “each bottle is unique.” But if you look at the bottles, unless the variation is some nearly-invisible minor tweak, they all look the same to me. I don’t do well with gimmicks, and this seems to fit the bill. If you want to make changes for a good purpose, go for it. If you want to alter your design to fit the season or commemorate an event, knock yourself out. But the point of “millions of unique looks” escapes me, especially when they all look the same. Be cautious about using the word “unique.” Chances are the only thing unique about it is your belief that it is. *Source: Coke’s namesake sodas see declines from the Associated Press in the TH, April 21, 2016, p. B5.